My favorite thing i like to do is work on computers, trouble shoot there problems and clean viruses out of them. On the other hand i have a son that is 16 and when he comes to town he likes to ride bikes, and takes after dad. Andrew my son takes after me in many certain ways but you would have to ask him yourself. I have been at Clark for quite some time and need to get things done. Andrew Telegin is an online editor for the Independent, the Clark College student newspaper. Q: Do you like WordPress? A: Yes, I really do enjoy WordPress. I think it is easy to use and fun to figure out with cool features. It has been an adventure, too. Q: The Good and the Bad about WordPress? A: To me, the good is how is it easy for someone new to catch on, learn, and use. I’m using WordPress.com in class and the bad is that you there is less customization of the back end and dashboard. All you can change is the colors and I would like to switch around some of the functions so they are not on the side bar and I cannot do that on WordPress.com but I can with the self-hosted version of WordPress, and we are using that on the college site. While most of WordPress is easy-to-use and semi-intuitive, I really want to learn HTML and some basic web code to know more about how all these things work. While I’m not ready to dive fully into web programming, I know the brush with the code will help me in the future. We are into the web forever and I’m riding the wave. Q: Have you worked with any other Content Management Software? What’s different? The WPtouch Mobile Plugin on WordPress adds a simple and elegant mobile theme for visitor to the WP website. 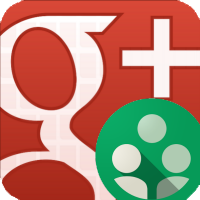 This plugin enables a mobile-friendly version for Android and iOS. If you experience issues you can download a user manual from WPtouch and it will contain Information on how to configure it and how to perform additional steps. When visiting the Admin View, this area allows you to customize many aspects to its appearance and to deliver a user-friendly Stylish version. According to Hot Off The Press the new WordPress apps have arrived for Android 2.6 and Apple. Some things that have changed are the sidebar and the tab-bar layout for the iOS. The latest WordPress update for Android consists of a redesigned interface and provides a much improved native reading experience, different things appear in a snap, and images fade as they are loaded. 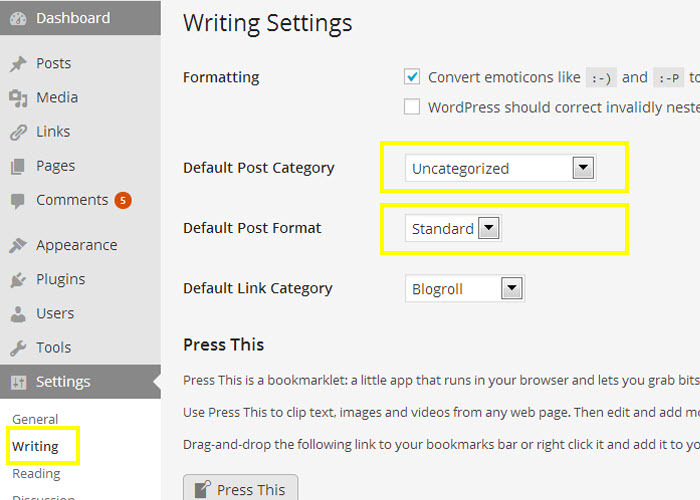 If you haven’t selected a category when publishing a post in WordPress, WordPress automatically assigns it to the default category. If you haven’t changed your default category in WordPress, it will go to a category called Uncategorized. To change your default category, go to Posts > Categories. If you do not have a default category, a category that you wish all your posts to go into when you don’t select the category manually, add it here. If you hover over the Uncategorized category in the Categories screen, you will see that you can’t delete it. WordPress automatically protects the default category. Return to the Categories screen and you will see that the category you just created cannot now be deleted. And the Uncategorized category maybe deleted. Delete it and your worries will be over. Gravatar is a free service for providing globally unique avatars. It is a type of avatar—an image or picture which represents an individual when they interact with websites, and is integrated it into the WordPress blogging platform. Gravatars were created by Tom Preston-Werner and has been ran and supported by a free service called Automattic since 2007. It’s included with every WordPress account, and always lets every user to authenticate themselves during login, comments are manage not only WordPress, but hundreds of other websites that use it. “Gravatar” stands for Globally Recognized Avatar, because it works as a single person across multiple websites, removing the need for multiple separate accounts and bios. Prior to Gravatar and similar services, an avatar would included a person’s name. The picture and bios associated with their logon credentials on only a single site. A gravatar is different than the similarly-named blavatar, which represents an individual blog—not a single person.